Buraco Fechado STBL – feel the latin spirit! Buraco Fechado STBL is a traditional card game from South America. 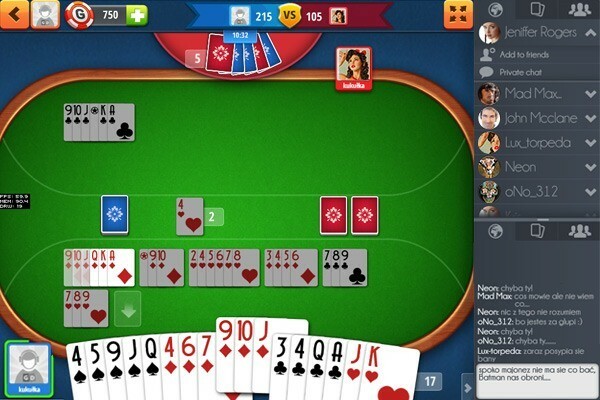 It is a special combination of rummy and canasta, but more complex rules make it even more challenging. Buraco means ‘hole’ in Portuguese, which refers to sadness after failure. The game is for 2 or 4 players – it’s a perfect way to spend long evenings with friends online! Discover your Latin soul in this classic Brazilian card game. Of course you do. Buraco Fechado STBL is even more complex than classic Buraco. Plan your gameplay and make your move. Team up with a partner and take control of the table to eliminate the competition! South America, the 1940s. Straight from the sunshine of Uruguay and the heat of Argentina comes the game Buraco Fechado, also known as Brazilian rummy. Especially popular in South American countries, Brazilian rummy has become an important part of pop culture, appearing in movies, television series, books, and even songs. The eponymous character in the 007 film “Goldfinger” liked to play buraco fechado. And Stephen King, the American horror author, remembers with fondness the game buraco fechado in his 1980s book “The Stand”. It’s little wonder, as buraco fechado is the younger sister of one of the most recognised and popular card games in the world - rummy. The "buraco" part of the name means “hole” in Portuguese. It refers to the sadness felt by a losing player or team. Buraco Fechado (closed buraco) is one of two Brazilian rummy games. The second is the buraco aberto (open buraco), which is classic Brazilian rummy. Check out other versions of the Latin games at GameDesire – try buraco classic and buraco. Buraco fechado is not limited to two players. It is possible to play with two, two-player teams, and sometimes more. The number of participants depends on the number of decks of cards. For example, for three or four players two decks are used (52 cards each), which have a previously agreed number of jokers (two, four or six). In Buraco Fechado there is a total of 108 cards. The points won by players in each team are added together. 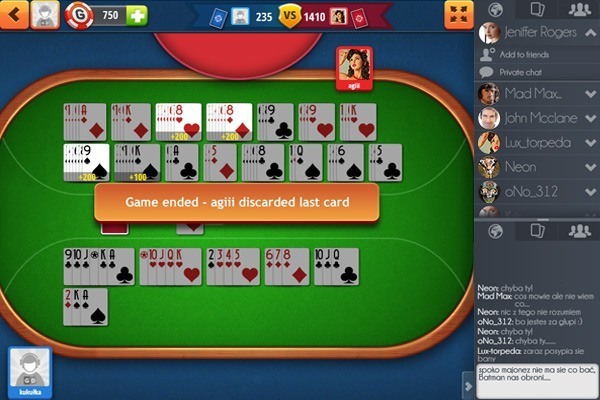 The aim of the game is very simple – to get rid of all your cards. Every participant in the game creates sequences and canastas in order to gain extra points. The winner of the game is the person or team who has the most points when the game is over – even if they have not discarded all their cards. What are Sequences and Canastas? Sequences are an opportunity to win a large number of points in buraco fechado, and thus to win the game. A player may place down a combination of three cards of the same suit, such as J ♥ 10 ♥ 9 ♥. It is worth remembering that three is the minimum number allowed. Canastas consist of a slightly larger number of cards from the hand, requiring the player to meld seven or more cards of the same suit. Achieving this gains extra points, and so can quite often decide victory in a game. Of great importance in Brazilian closed rummy are wild cards, which are twos and jokers. They may replace other cards, while the twos can also be played at their face value. However, sequences or canastas with wild cards are “dirty”, and score less. An example of a wild card sequence may be 2 ♥ J ♠ Q ♠ K ♠. 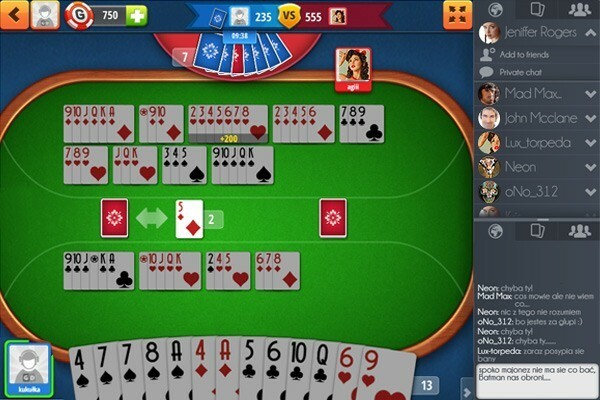 If you are already tired of playing the usual rummy, canasta and other popular card games, try something new! 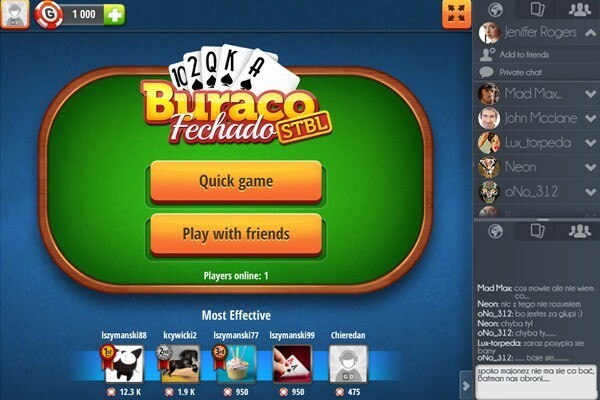 In online Buraco Fechado the rules are similar, but the game has a few modifications that offer mentally stimulating entertainment on long evenings. In addition, you need not be limited to a single opponent. GameDesire allows you to play double games between teams, so invite your family, friends or colleagues to a tournament, or meet other fans of this exciting card game. Enter the world of free online games, high emotions and equally high wins!